Andrew McCallum Crawford grew up in Grangemouth, an industrial town in East Central Scotland. He studied Science and Philosophy at the University of Edinburgh and went on to take a teaching qualification at Jordanhill College, Glasgow. His work has appeared in Interlitq, Gutter, Northwords Now, Lines Review, The Athens News (Greece), Junk Junction (Greece), Ink Sweat and Tears, McStorytellers, Weaponizer, The Ofi Press (Mexico), New Linear Perspectives, Spilling Ink Review, Filmpoem, Body (Czech Republic), Drey, Ironstone, The Legendary, the Midwest Literary Magazine (USA), Bolts of Silk and the 'The'. 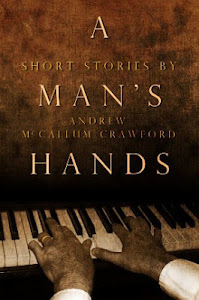 His story, 'A Man's Hands', received an Honourable Mention in the 2012 Spilling Ink Review Flash Fiction Award. 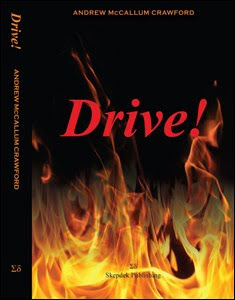 Andrew's first novel, 'Drive! ', was released in 2010. 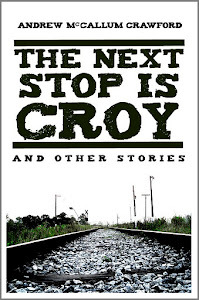 He has also written two collections of short stories, 'The Next Stop Is Croy' and 'A Man's Hands'. He lives in Greece. Eleven stories about men, women, memory and obsession. 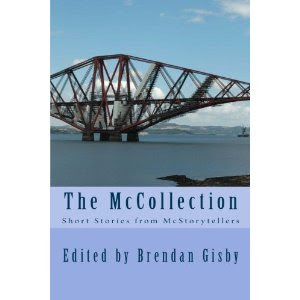 A collection of six short stories about the relationship between a son and his father. An anthology of poetry and prose, published in the USA. Contains my story, 'Peach Blossom Paint'. Another of my stories, 'Aksios! Aksios!' appears in this anthology.